Cologne - No goals in 20 Bundesliga appearances is hardly a glowing endorsement, but it's the dirty work for which VfL Wolfsburg midfielder takes the plaudits. The Club Atletico de Madrid loanee has been a revelation in his first of two scheduled seasons at the Volkswagen Arena, even drawing comparisons in some quarters with retired 1998 FIFA World Cup winner Patrick Vieira. "He's strong in the tackle and full of running," said Wolfsburg head coach Dieter Hecking of the tireless 24-year-old. "He's improved as a footballer since coming to us, but he still needs to have more of a go in front of goal." To illustrate the point, Guilavogui has registered just 12 shots on goal so far this season, while fellow midfield enforcer has netted one from 28 attempts, albeit having played five league games more. 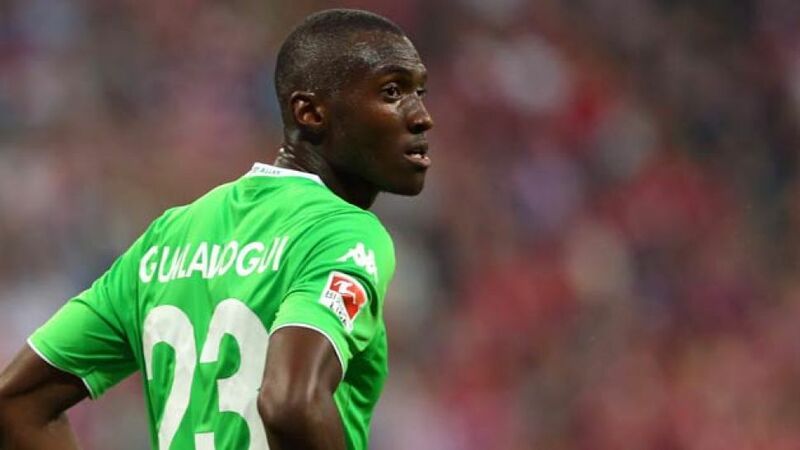 "I have to start scoring goals," the French international told Germany's largest sports specialist magazine Kicker, despite opening his Wolfsburg account against FK Krasnodar in the group stages of the UEFA Europa League. "It's not enough." Working under the wing of seasoned Brazilian international Gustavo, however, Guilavogui could hardly have asked for a more suitable mentor. "Luiz is really important to me," the former AS Saint-Etienne stalwart admitted. "He's just a world-class footballer." Combined, the two Wolves make for a formidable obstacle in front of the back four. There's little to choose between them in terms of distance covered and successful tackles, while both average comfortably over 80 per cent in the pass completion department. Monsieur Vieira eat your heart out. "It's always nice to be compared to him, but I don't want to do so without justification. I've got to work hard to reach his level," Guilavogui explained. "I want to improve at Wolfsburg and show what I've got in European competition. I hope I can stay [here] for many years to come."